By visiting the websites of Catalyst Global and its licensees, you are accepting and consenting to the practices described in this Statement. What Information do we collect and how do we collect it? 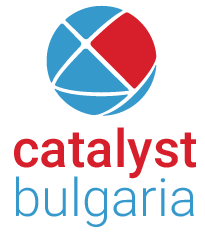 Catalyst Global collects personally identifiable information about you that you specifically and voluntarily provide. The information we collect from you allows us to personalise and improve the Catalyst Global experience. We use the information to handle orders, deliver products and services, process payments, communicate with you about orders, products, services and promotional offers, update our records and generally maintain your accounts with us, display personalisation content, customer reviews and recommend services that might be of interest to you. We also use this information to improve our site, prevent or detect fraud or abuses of our website and enable third parties to carry out technical, logistical or other functions on our behalf. We will only collect personally identifiable information that you choose to provide. You can choose not to provide certain information. Where possible, we will enable you to select how we will use this information. You may choose to provide us with personally identifiable information if, for example, you: contact us with an enquiry; fill out a survey or other form with your personally identifiable information included; or, request us to provide you with information. Every computer connected to the Internet is given a domain name and a set of numbers, that serve as that computer's Internet Protocol ('IP'). When a visitor requests a page from any Web Site within our network, our Web servers automatically recognize that visitor's domain name and IP address. The domain name and IP address reveal nothing personal about you other than the IP address from which you have accessed our Site. We use this information to examine our traffic in aggregate, and for security purposes and to investigate misuse of the network, its users, or to cooperate with law enforcement. We receive and store certain types of information whenever you interact with us. For example, like many websites, we use 'cookies' and we obtain certain types of information when your Web browser accesses Catalyst Global. By recognising you, we can provide you with a personalised experience. Will we disclose the information we receive to third parties? Information about our customers is important to us and we do not sell it to others. We share customer information only as described below and our subsidiaries. Catalyst Global works closely with its licensees and affiliated businesses. These businesses operate Catalyst products under license from Catalyst Global and we may provide services or sell products on behalf of these businesses. We reserve the right to share information among our licensees. Information is only provided to third parties that provide services or functions on our behalf. These service providers require information about you and your business, in order to provide you with the best possible service. Although Catalyst Global and its licensees may have access to your personally identifiable information for the purposes set out above, they may not use that personally identifiable information for any other purpose and are required to process your information in accordance with Data Protection Legislation. We may use information for internal marketing analysis, for example, to assess trends amongst our consumers or to measure the amount of traffic to our websites. We may also use your personally identifiable information in order to communicate with you about our products and services and those of our subsidiaries, affiliates, and parent companies and any of their related businesses. You will be able to choose whether or not to receive such communications when you first provide personally identifiable information to us. We may also share non-personally identifiable information with others, such as advertisers, in aggregate anonymous form, which means that the information will not contain any personally identifiable information about you. We will not arrange for selected organisations to send you promotional and marketing information without your permission. In the event you give your permission please note that such organisations are carefully selected and will be bound by the terms of this statement. Information you post on or through the public areas of the site is generally accessible to, and may be collected and used by, others and may result in contact from others. Users of the site are encouraged to exercise caution when providing personally identifiable information about themselves in public areas of this site. In the event of a sale, merger, consolidation, change in control, transfer of substantial assets, reorganisation or liquidation, we may transfer, sell, or assign to third parties information concerning your relationship with us, including without limitation, personally identifiable information that you provide and other information concerning your relationship with us. We may be required by law to disclose information you have provided in the good-faith belief that such action is required by law or to comply with legal process served on us or to protect and defend our rights or property and our interests or the interests of our customers or users of the site or the public. We are committed to providing you with a secure environment during storage and transmission of your personally identifiable information. We have created appropriate physical, electronic and procedural safeguards to collect, store and disclosure your personally identifiable information. Although we use the most technologically advanced security systems available, our security providers cannot guarantee against unauthorised access by third parties. This statement will change in accordance with the constantly changing face of our business. Such changes will be posted on this page and it is recommended that you should check our website regularly to confirm what information we collect, how we use it, and under what circumstances we disclose it. Should you wish to check what personally identifiable information we hold about you, amend your information, request that your information be removed or have any queries regarding the above statement, please contact us. Please note that this site uses Google Analytics to monitor website activity. For more information on how Google collects and processes data please see How Google Uses Data When You Use Partner Sites Or Apps.